Today, Ameen wanted to bring a whole new idea for Tag Team Tuesdays. A roundtable of sorts. 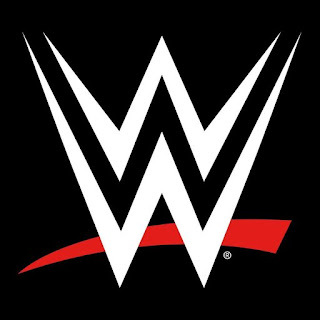 We are here to discuss our 5 favorite tag teams of all time and compare our lists. Surprisingly, most of us don't have the same choices and Ameen decides to put three teams in one selection, but this is his article, so we will allow it. 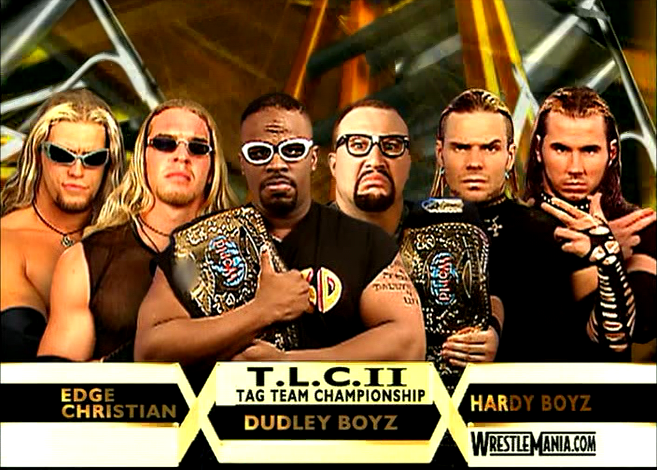 Now, let's take a look at the 5 favorite tag teams from the squad. These are my 5 favorite tag teams of all time. I'll keep it brief. -The most prolific tag team in wrestling history. 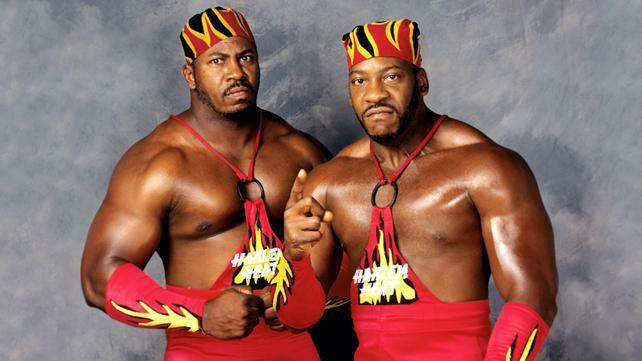 While not the most technically sound, these brawlers from Chicago defined tag team wrestling. Holding the NWA, WWE, and WCW tag titles and being the only team to do so, tag team wrestling is nothing without these two. -For a while I had them outside my top 5, but their work in the past year and a half has made me consider them the 2nd best ever. Separately they've both enjoyed success, but they have literally dominated tag team wrestling over the past year and it all parlayed into an iconic return at WrestleMania. They've held almost ever tag title available. I love the fact that they were able to reinvent themselves and become the most talked about thing in wrestling. -Bubba Ray and D’Von Dudley were one of the most over acts in ECW then they came to WWF and helped created the TLC match. Their use of tables became a mainstay in wrestling and their rough style was a joy to watch. 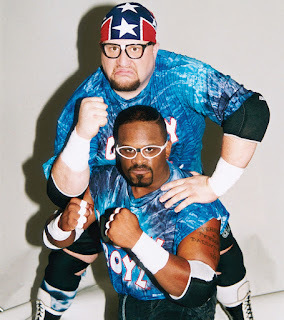 The Dudleys in my opinion have the greatest tag team finisher in wrestling history. 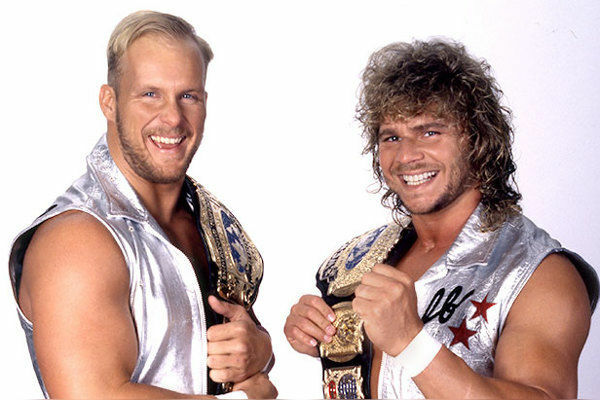 Countless tag titles all over the world makes them one of the most decorated tag teams ever. -The most charismatic tag team in wrestling was the New age outlaws. 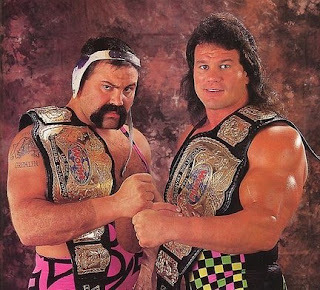 Two guys who were floating aimlessly in WWF formed arguably the greatest tag team in WWF history (meaning WWF made them). 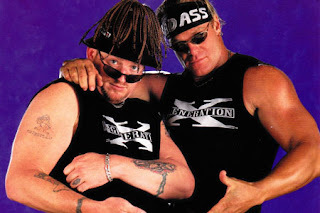 Road Dogg’s charisma and Billy Gunn’s athletic prowess made these guys household names. -This is one of the best teams ever. Never before had wrestling seen a partnership where the two men wrestled a completely different style from each other. 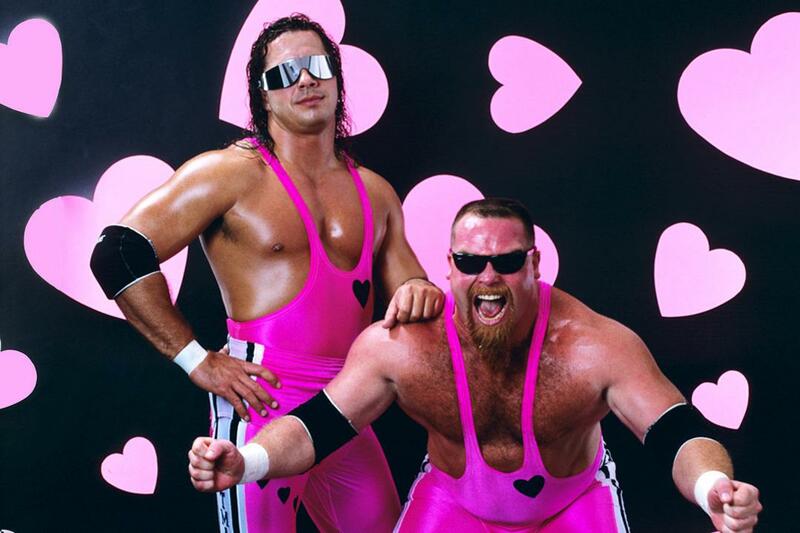 Bret was the technical guy and Jim Neidhart was the muscle of the team. It brought a new dynamic to tag team wrestling that we now see more often. There's a difference between the greatest and your favorites. With that, I present my top 5 favorite teams of all time. -The Brain Busters are my favorite tag team of all time. 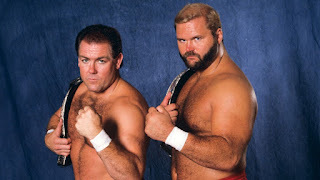 Arn Anderson and Tully Blanchard were bullies who grinded and pounded the great tag teams of the late 80's to dust. They were two time NWA World Tag Team Champions and one time WWF World Tag Team Champions. This team represents my two favorite styles of wrestling: Tully's Brawler style and Arn's ability to take opponents to the mat. -Miz and Morrison are far from the top of the list of all time great tag teams but they had that instant chemistry that made me want to see more and more of them. They had the obnoxious narcissistic gimmick so they could gain heat on the mic. Morrison's versatility made it easier for Miz, who was still working on improving his overall skill set, to work with. 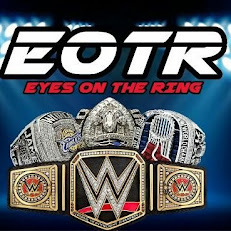 They provided a boost to Smackdown and ECW's Tag Team Divisions that were suffering from a lack of credible tag teams. -I put all three of these teams together because I'm solely focused on what they did for tag team wrestling during the Attitude Era. Edge and Christian captivated audiences with their hilarious pranks and antics including the 5 second pose, but when it was time to throw down these guys shaped up and went to work. The Hardy Boyz stole whatever show they were on with their willingness to push the limits using their High Flying abilities. The Dudley Boys added that gritty rough and tough style to this rivalry and their signature use of tables led to the creation of the TLC match with the other two teams. -Although they only lasted a short amount of time due to Tyson Kidd's career ending neck injury, Cesaro and Kidd were one of the main reasons I tuned into Smackdown every week when the show had basically zero direction. Kidd's career rebirth in NXT gifted him a new life on the main roster and with Cesaro you were guaranteed a great performance from the two. Cesaro, who struggled to find a way to connect with crowds, was given Kidd's cocky attitude to work with. They both had an extensive skill set to work with so we ended up with unique moves like the giant swing into a drop kick. -In my opinion the best tag team in all of wrestling today, Dawson and Wilder are two students of the game. They pick apart other teams like wolves. They keep the high flyers grounded and show no mercy with excessive limb targeting. Since coming back to TV full time during the first Dusty Rhodes Tag Team Classic, The Revival has not had a bad match at an NXT Takeover event. There have been multiple times where they stole the show including their final match on the NXT Brand at Takeover: Orlando in a triangle ladder match (Made famous by some of my other picks on this list) against DIY and AOP. My favorite performance was at Takeover: Dallas against American Alpha. They showed off some of the best heel work as a team I've ever seen and showed off the influence that guys like a Tully Blanchard and an Arn Anderson had on their wrestling style in the ring and on the microphone. -For my list, I had to look at the teams I enjoyed watching the most and just go from there. That wasn't a tough task to accomplish honestly. -My all time favorite team. Booker T and Stevie Ray were amazing together and they helped to usher in an era for black wrestlers that saw Booker and Mark Henry become champions down the line. Harlem Heat gave us great moments, good matches, and epic promos. They are the BEST. Period. -When I was really young, The Rockers had just started their breakup. 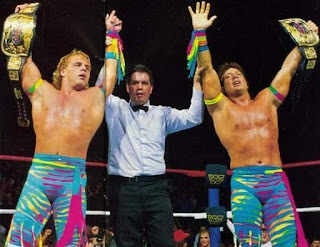 It wasn't until I went back and watched the older WWF tapes that I began to take a liking to Marty Jannetty and Shawn Michaels, but their fast paced offense, high flying style, and ring awareness made them instant favorites to watch. Their feuds were fun to watch and their breakup was iconic. -Before Big Poppa Pump existed, this team was the best in the business. The Steiner were great whether in WCW, WWF, or anywhere else over the world. I enjoyed watching The Steiners in their matches over the years and this team remains to be in my top 5 of all time and one of my favorites. -My list seems a bit WCW centered and that's for good reason. 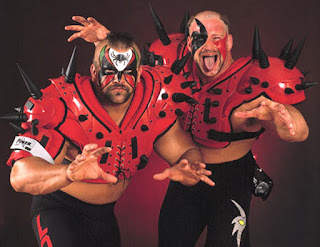 WCW had tag team wrestling done the right way. I hated the WCW main event scene as a kid, as the wrestlers seemed to be old and not as exciting. Sure, Flair and Sting were great, but Hogan vs Vader, Vader vs Cactus Jack, and all those matches didn't do it for me. However, when the Hollywood Blonds came about, I instantly enjoyed their work. Stunning Steve Austin and High Flying Brian Pillman had amazing chemistry as a team and I could watch their promos and matches for hours then and now. -Keep in mind, this isn't a list of who I think is the greatest, just my personal favorite teams. While two of these teams listed would make my top 5 greatest teams ever, these are the teams that I enjoyed watching immensely throughout my wrestling fandom. 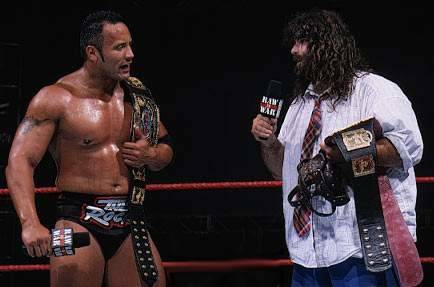 The Rock and Mankind had some of the greatest chemistry that not even long term tag teams could replicate. Their matches were fun, their promos were highly entertaining, their dynamic was fun, but most of all, the team itself was fun to watch. This is definitely a favorite team of mine. Have a list of your 5 favorite? Feel free to list your 5 favorites in the comments below.